The draft action plan also calls for formulating a journey planner app which integrates the Metro, the DIMTS and the DTC services and integrated ticketing across the DTC, cluster and metro within six months. 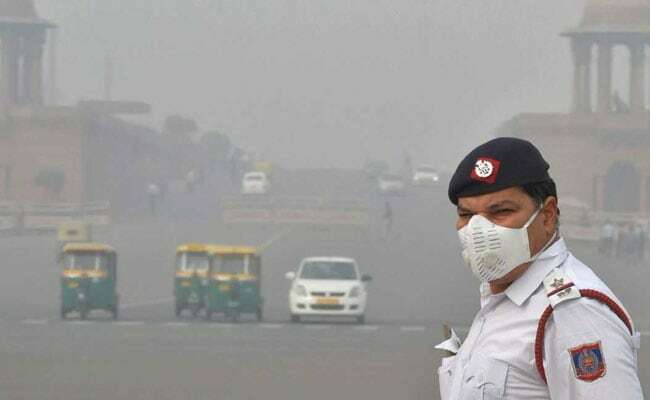 New Delhi: Coordinated action to combat stubble burning, commissioning studies and launch of a hotline and an app to report violations are some of the measures in a 12-point draft plan formulated by a high-level task force to combat air pollution in the Delhi-NCR region. The high-level task force headed by the principal secretary to Prime Minister Narendra Modi has formulated the draft 'Air Action Plan - Abatement of Air Pollution in the Delhi NCR' and has invited suggestions in 15 days to make it more "effective and practical". "The action plan lists key actions that the task force will monitor. It is recognised that the agencies responsible for the various determinants of air quality will take a number of other steps based on their assessment of need" said the draft which has been put up on the Environment Ministry's website. "The secretary, MoEF will be responsible for overall coordination of the action agenda," it added. The draft proposes coordinated action to combat stubble burning in Punjab, Haryana and Uttar Pradesh and also monitor enforcement measures to reduce stubble burning. It also calls for implementing rollout of a plan for properly disposing crop stubble and ensuring that independent data on stubble burning is available in real time in collaboration with the department of science and technology among others. The plan says that in collaboration with the Delhi Pollution Control Committee (DPCC), it should be ensured that the Delhi-NCR has an adequate network of air quality monitoring stations. "A pollution app should also be prepared wherein citizens can take a picture of the violation and upload it for quick remedial action," the plan said. For power plants in the NCR region, it calls for NOx curtailment measures in a time-bound manner by the NTPC and other operators and asks the Environment Ministry to develop a 'Dashboard' of all the 'Red Category' polluting units in the NCR. Each of these units should install a certified pollution meter within their premises, it said. "Strict action should be taken regarding brick kilns operating in the NCR, especially in areas like Bagpat (UP), Jhajjar (Haryana) without environmental clearance. Enforce all brick kilns to migrate to zig-zag technology," the draft said. Noting that mechanised road sweeping is about 15 per cent in Delhi, the draft plan also says that it should be increased to at least 40 per cent in the next four months. It also asks the Delhi PWD, the Irrigation Department and the MCDs to take up green paving of central verges, roadside berms, and sides of drains, over the next one year with monitorable targets. It has asked the corporations in Delhi to reduce dust and ensure that SoPs are followed at construction sites in terms of curtaining and sprinkling water among other measures. The draft also asks for procurement of additional buses and improvement of last mile connectivity while increasing the number of metro coaches. "Ensure that non-destined trucks do not enter Delhi. Ensure compliance of the toll and municipal charges for entering of trucks in Delhi," the draft said. The draft also asks divisional commissioners to assess the management of municipal solid waste in their jurisdictions and within 15 days, prepare a plan to ensure 100 per cent collection and processing. "The plan must have monitorable timelines and an independent verification mechanism. Steps will be taken to combat road dust and dust arising from construction activities, broadly following the model set by Delhi," it said. It also asks for completion of Eastern and Western Peripheral Expressways within target dates. "Encouraging electric vehicles and promoting shared and connected mobility. Policy support to encourage electric vehicles, prioritising the use of EVs for public transport and promoting shared and connected mobility. "In collaboration with the traffic police, identify choke points and take up projects to reduce congestion at these points. Similar exercise may be done in respect of Meerut, Rohtak and Gurugram divisions," the draft says. In the draft, the MCDs have also been asked to increase decentralised processing of bio-degradable waste and to fill the gap between the waste collected and processed. "An independent verification mechanism should be set up to check whether 100 per cent solid waste is actually being collected--with specific focus on poor communities such as slums and JJ clusters," it said. The draft also calls for steps to be taken to ensure that no fires break out at sanitary landfills among others.